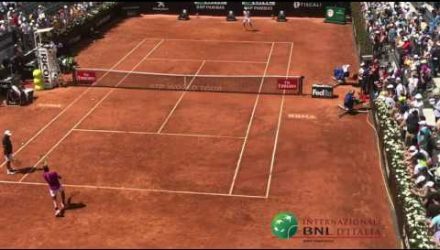 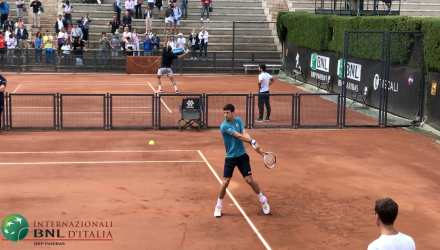 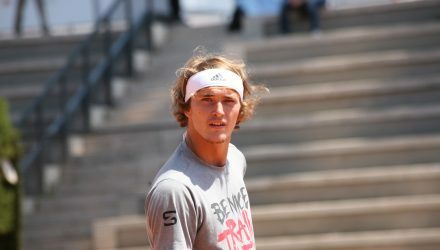 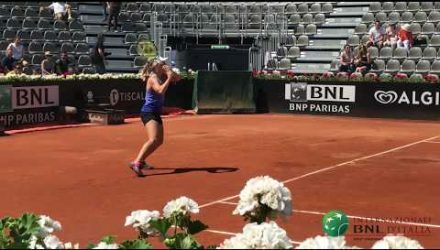 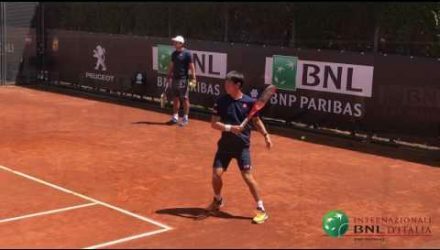 Before playing against in the quarter final match at Internazionali BNL d’Italia, the two players practice in adjacent courts. 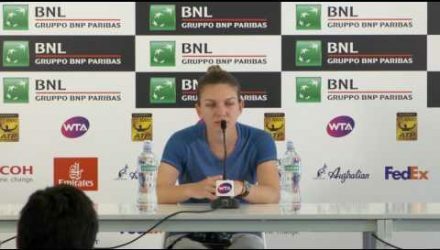 Simona Halep talks about his quarter final match won 6-2 6-4 against Anett Kontaveit. 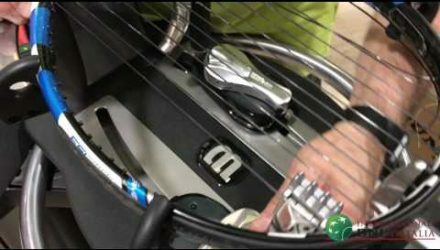 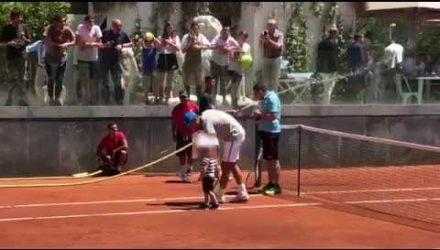 Nole played with a child and tried to teach him how to hit the ball! 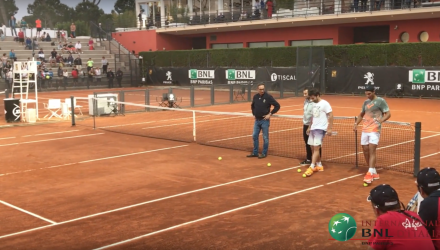 An early morning practice for Garbine Mugurza on Internazionali BNL d’Italia center court.